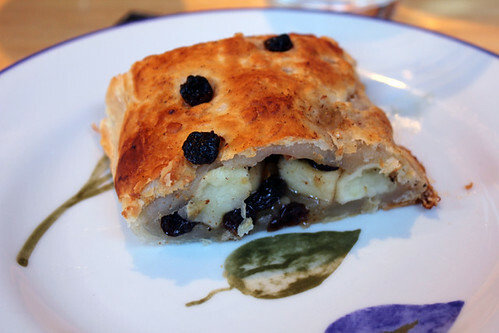 Apple Strudel | Abandon Spoon! 1. 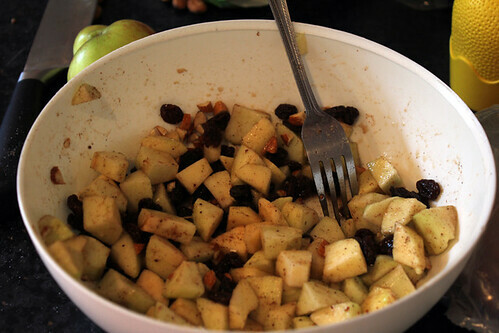 Slice the apples and place in a bowl with sugar, lemon juice, sultanas and cinnamon. 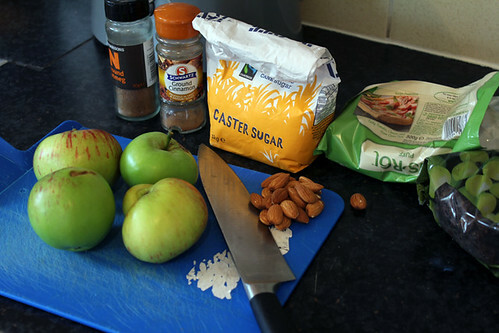 Stir and leave to the juices to soak into the apples. 2. 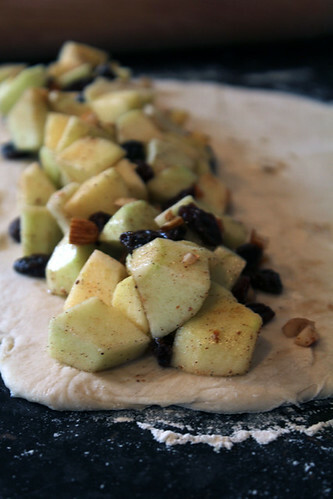 Lay out the puff pastry so that it is in a rectangular shape. 3. 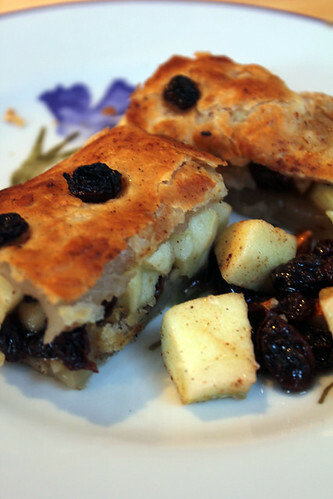 Place the apple mix down one side of the pastry, and fold over the other side to get a long oblong shape. 4. Brush the top with the remaining sugar/cinnamon mix. 5. 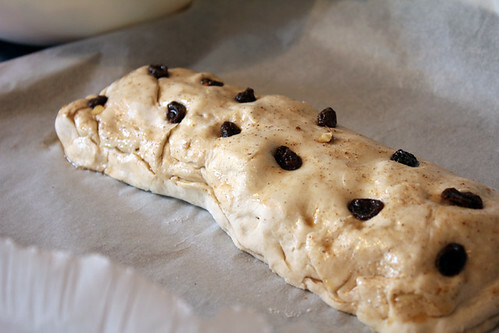 Bake in the oven for about 30-35 mins at 180C or until golden brown and crispy. 6. Serve with cream or custard.